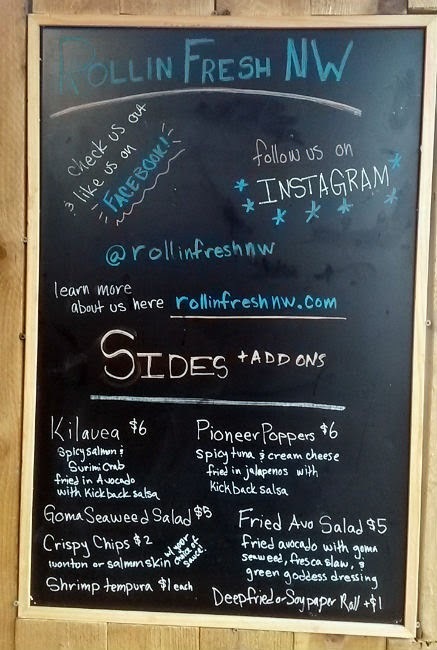 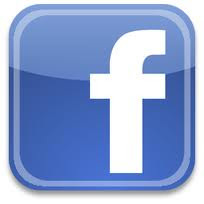 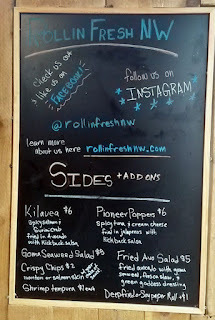 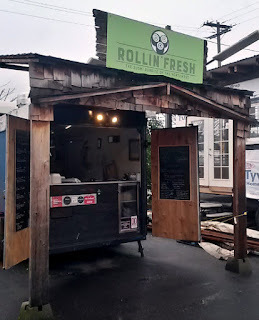 Rollin' Fresh is located at the Piedmont Station food pod (NE 6th and Killingsworth) in Portland, Oregon. 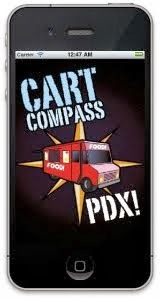 Another Portland food cart highlighting the sushi "burrito". 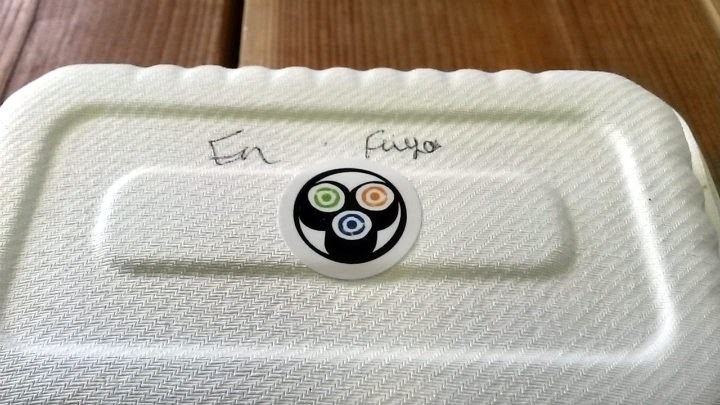 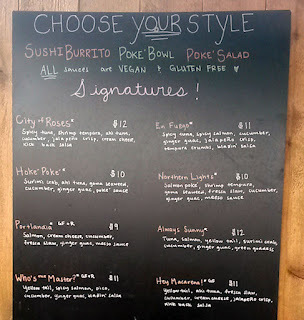 Here, you can get any of the menu options as a burrito, poke bowl, or salad. 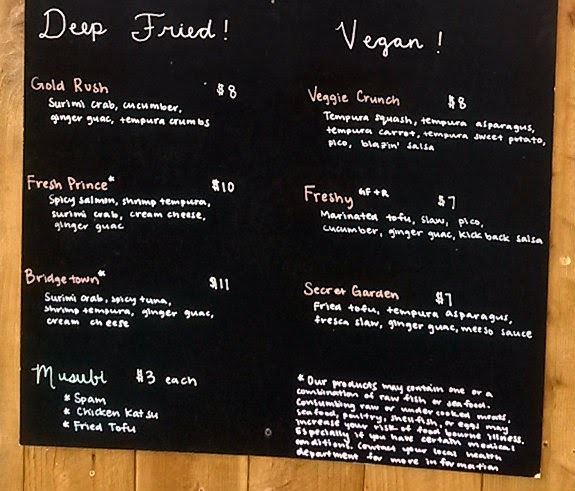 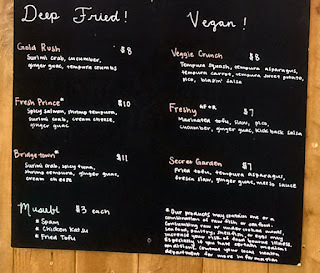 There are eight signature items, three additional deep fried items, and three vegan choices. 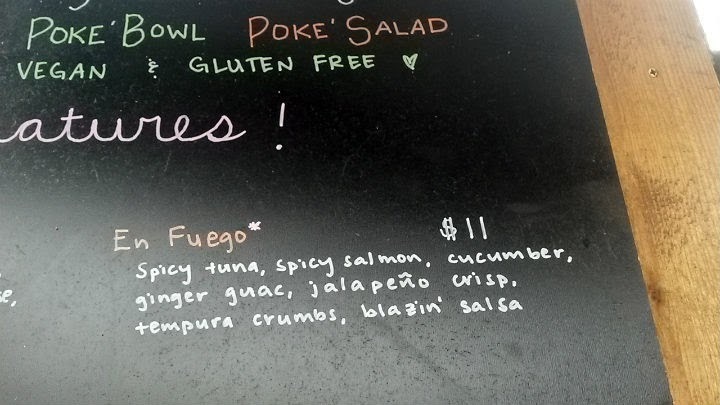 I naturally ordered the spiciest-sounding choice, En Fuego ($11): spicy tuna, spicy salmon, cucumber, ginger guacamole, jalapeno crisp, tempura crumbs, and their blazin' salsa. It came with sides of wasabi, pickled ginger, and soy sauce. 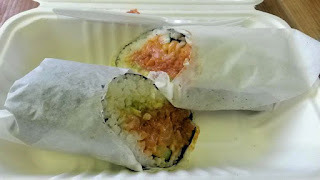 An abundance of fresh fish here, with crunchy cucumber. The sushi burrito was still lukewarm when brought to me. 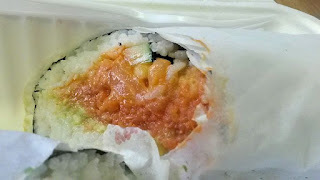 As for the spice level, it was pleasing for my palate, which may still nuke the mouths of people that prefer mild food. 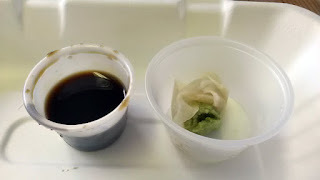 A delicious and satisfying dish. 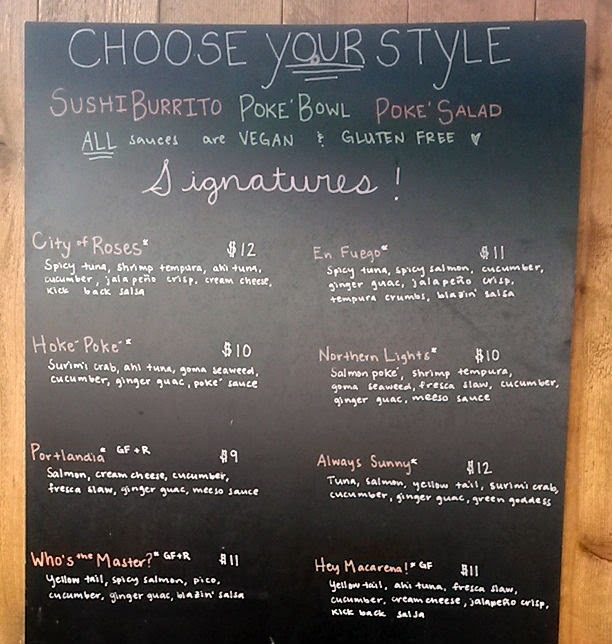 Even "Who's the Master?" 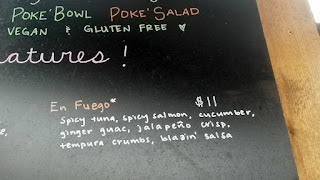 sounded good: yellowtail, spicy salmon, pico, cucumber, ginger guacamole, and blazin' salsa. 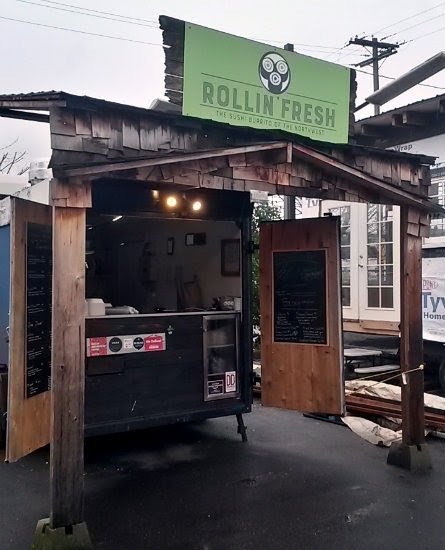 The Piedmont pod, which has approximately 8-10 food carts, also has indoor, heated seating, ideal for the colder, rainier months.